This entry was posted in Photography, Saint Louis, Saint Louis Zoo by RegenAxe. Bookmark the permalink. Great post! It certainly is cold outside! The zoo was empty that day and the snake was just trying not to chill. Oh no problem. And maybe the snake was not chilling, because he has thick, quilty skin. He may have been strolling away from a venemous quarrel. I like yo think that it was just waiting for the first person to come by, which was me. I suppose. 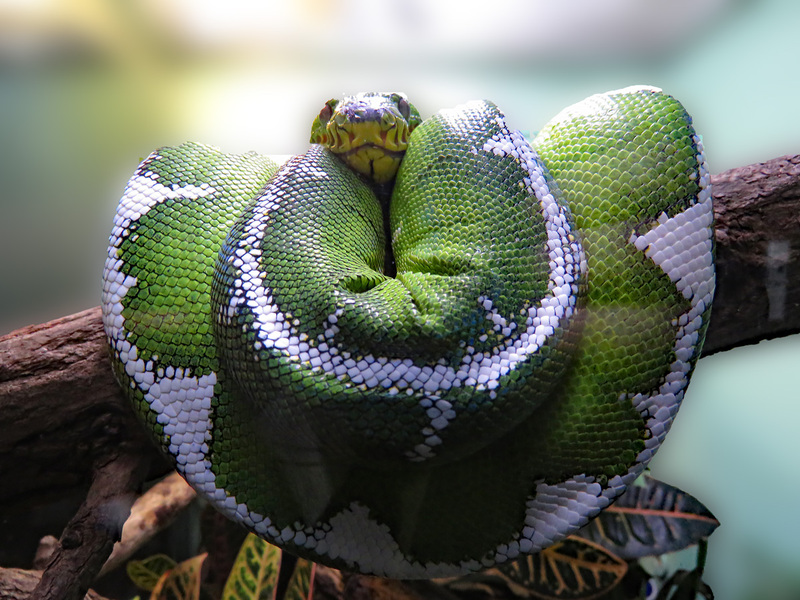 Sometimes snakes wrap up to the first person that comes their way. Snakes need to vent, even during the colder, hibernating seasons. Good, and you should. The photo is colorful, closeup and a captivation your heroism. Who could beat that?